Whether your firm needs to monitor current coverage about your organization and competitors or if you are looking to reach out to interested reporters, I will survey the media landscape and provide useful metrics and contacts to promote your business. From technology to finance and education, I have served a range of clients and will find the particular outlets that are interested in covering your latest developments. I have worked in agency settings, collaborating with other amazingly creative art directors and copywriters as well as on my own as a freelancer. Whether you need to brand your startup company, maintain your social media presence or clearly communicate what your business offers, I can promote your business and provide the inbound marketing materials your potential customers will find when researching your company. For those looking to discuss my work and the possibility of filling an open position, my contact information is open to you. Target Market: Clients looking to assess their place in the market in relation to industry competitors. Strategy: Monitoring the media landscape through TrendKite, Cision, Critical Mention, and Google to record their standing in their industry. 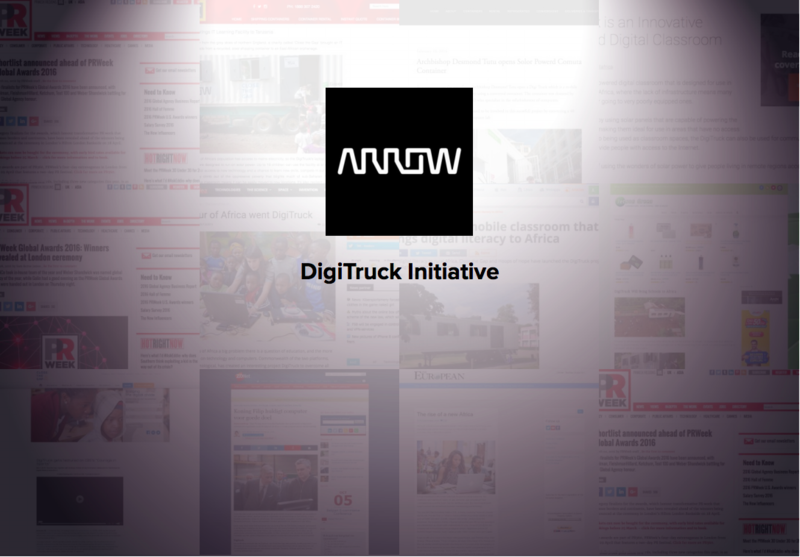 This involves discerning between passive coverage, where the company is simply mentioned, and featured coverage, where they are a central focus of the article. Execution: By having a solid understanding of where my client stands in their own industry, my team can properly advise them on how to grow their market share. Target Market: Technology companies and media executives in need of an expert consultant. Strategy: Create blog posts to convey a clear message for decision makers without previous experience in the media or legal industries. Execution: After researching the industry and interviewing my clients for a sense of their business’s tone, I created a series of blog articles to help those breaking into the industry, therefore raising my client’s awareness and credibility. Target Market: Businesses and individuals looking to understand how their earned and promoted coverage translates into viewership and audience. Strategy: Organize large and small scale coverage into readable presentations that can be understood by everyone in the organization. 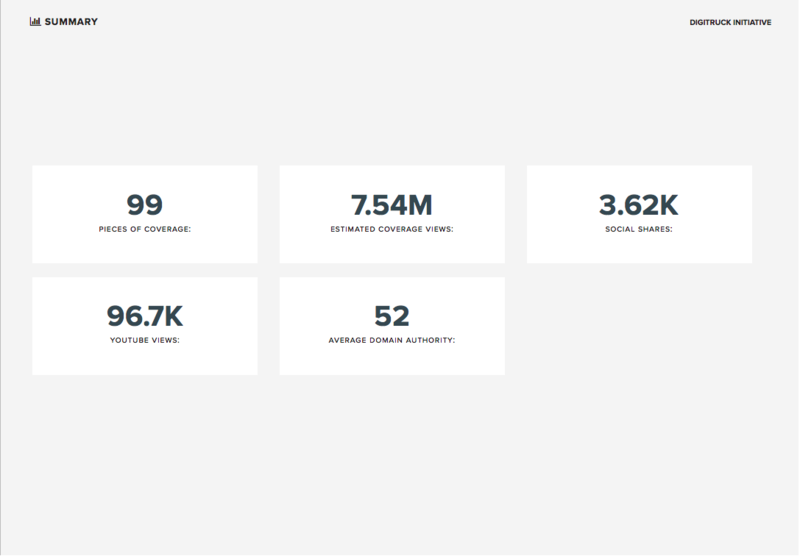 Execution: Through various platforms such as Cision, Critical Mention, TrendKite, CoverageBook, and more, I can present an image of your company’s place in the media landscape. Target Market: It’s important to get the message to the right people. Through various platforms including Cision, Muck Rack and RocketReach, I will locate the contact information of relevant journalists to promote your brand. 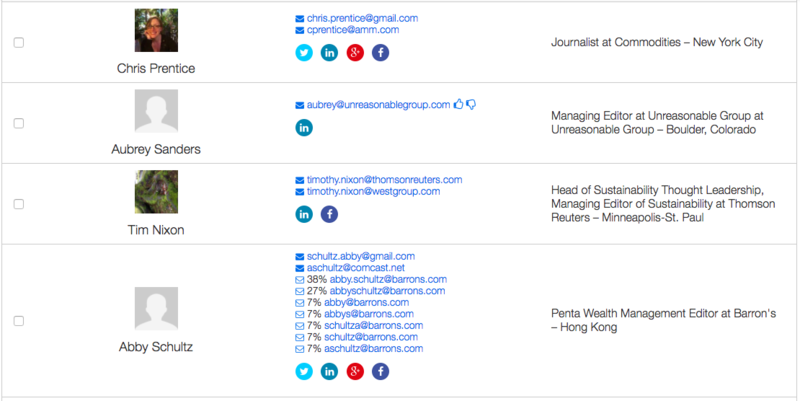 Strategy: Focus on reporters and editors that have recently written about your company, competitors, or industry. Execution: I can run your email system to ensure each email promotion is finding it’s way to an interested journalist as opposed to creating white noise in their inbox. Target Market: SMBs that want to increase their web presence. Clients range from landscapers, financial services, non-profits, religious organizations, artists and more. Strategy: Utilize SEO within their Geolocation to make sure their business is on the first page of Google search results. Execution: Clients coming to web.com know how to run their business, but they need help building a relevant website. 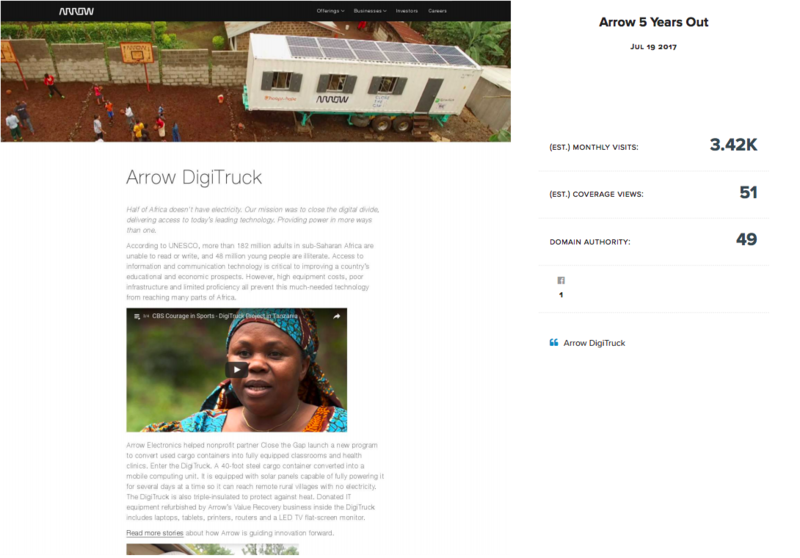 With a brief rundown of their products, services, and company history, I built entertaining and creative websites that lead new customers to their business. Target Market: Entrepreneurs looking to enter the drone industry and farmers looking to apply drone technology to monitor their fields. Strategy: Drone technology is very new and customers are still researching the industry while deciding which vendor to choose. Execution: Through inbound marketing materials, Agribotix establishes itself as a thought leader in the industry and are more likely to be considered when clients are choosing between drone vendors. Target Market: Community advocates at every city hall, park district and library within six counties that surround Chicago, Illinois. Strategy: By sending promotional posters to 700 prominent public, high traffic locations, we help inform the community about the Golden Apple Awards and how they can nominate exceptional teachers and school leaders in their area. Execution: After researching and compiling all relevant addresses, emails and phone numbers, I led a team that labeled and stamped all mailing tubes that were sent out with the included press releases and posters. Target Market: Audiophiles who purchase high-end sound systems. 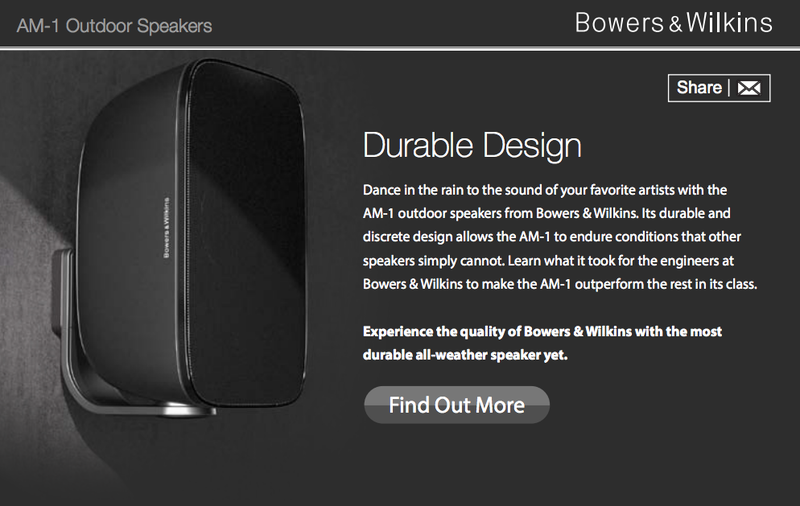 Strategy: Bowers & Wilkins builds the best and continues to build better sound systems. 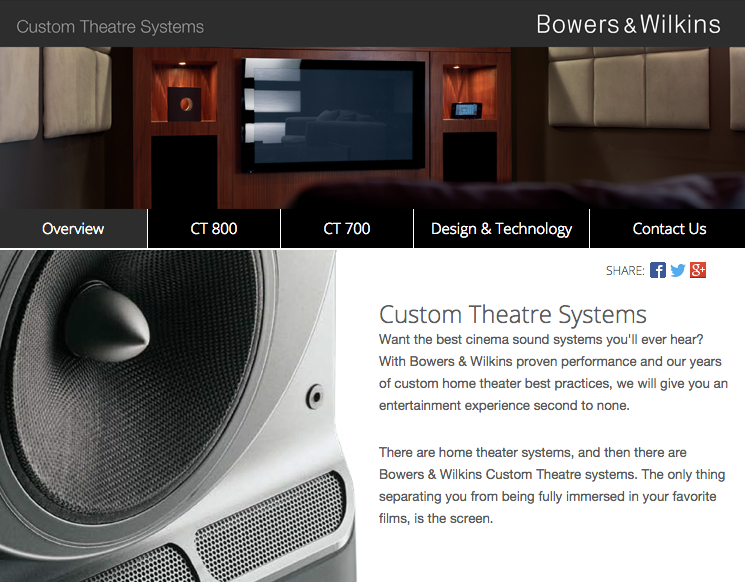 Execution: Empower Bowers & Wilkins local affiliates with professionally made emails and microsites to entice customers to buy Bowers & Wilkins products at their store.